Back in 1999 I found an article from a Cooking Pleasures magazine that I’ve saved and turned to over and over. It deals with pasta salad-making and gives tips on how to be a pasta salad magician. I thought since ‘tis the season for more salads, you might appreciate these tips. First of all, let’s look at how to healthify this proverbial favorite. Less is more when you’re walking the line between great taste and healthy food. 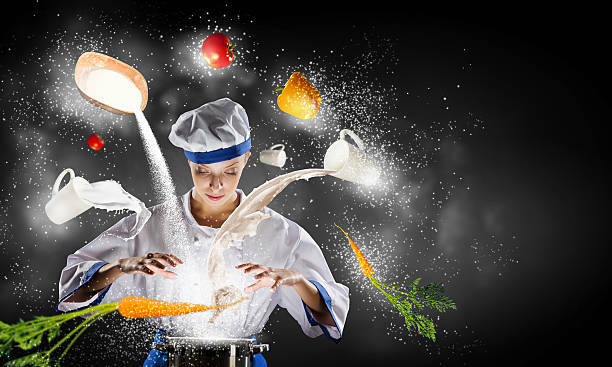 So to keep a dish balanced between taste and health, you need to rely on the strength of the ingredients. Bold-flavored foods can be stretched farther than mild ones. This means you can get by with less, keeping a recipe on the light side. You can accomplish this by using distinctively different ingredients. 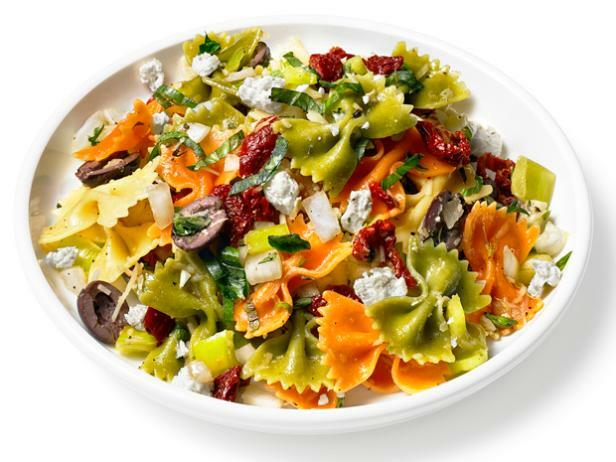 The rich tastes of sun-dried tomatoes, for instance, paired with smoked mozzarella cheese and a wine vinegar-based dressing create a healthy, as well as hearty delicious pasta salad. Try this one; it’s a favorite at our house. In large bowl, combine all salad ingredients; mix well. In small bowl, combine all dressing ingredients; whisk to blend. Pour dressing over salad; toss gently to mix. Serve immediately, or cover and refrigerate. TIP: To rehydrate sun-dried tomatoes, cover with hot water and let stand 5 to 10 minutes or until tomatoes are soft. Drain. Add the dressing to a pasta salad shortly before serving it. It if’s assembled too far in advance, the pasta will require more dressing because it absorbs liquids as it sits. Use lots of fresh chopped tomatoes. Besides adding bright color, they add flavor and provide juice for the salad. This means you can use less dressing. Use light vinegars such as rice or sweet balsamic. They have milder flavors so you can use more vinegar and less oil. If you cook pasta ahead, you don’t need to add oil before refrigerating it. Simply rinse the pasta with water and refrigerate it. When it’s time to build your salad, run the cooked pasta under cold water to separate and refresh it; then mix in your other ingredients, toss it all in your dressing and serve. From here, let’s talk about which are the best pastas for pasta salad. Professional chefs seem to agree that while you can make pasta salad with any kind of pasta that you want, there are a couple of things to think about so that you make the best choice possible. First of all, choose dried, NOT fresh pasta. 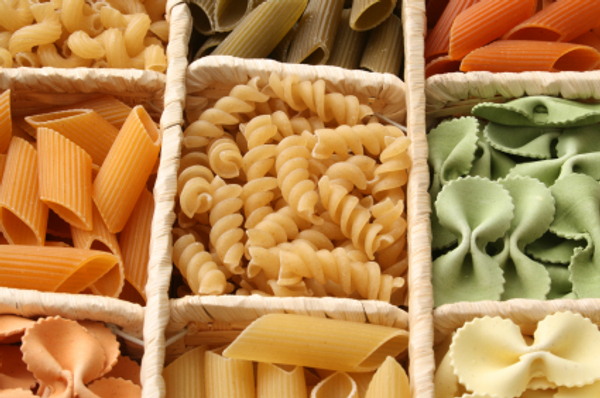 While fresh pasta is delicious, its more delicate nature means that it isn't a great choice for pasta salads. 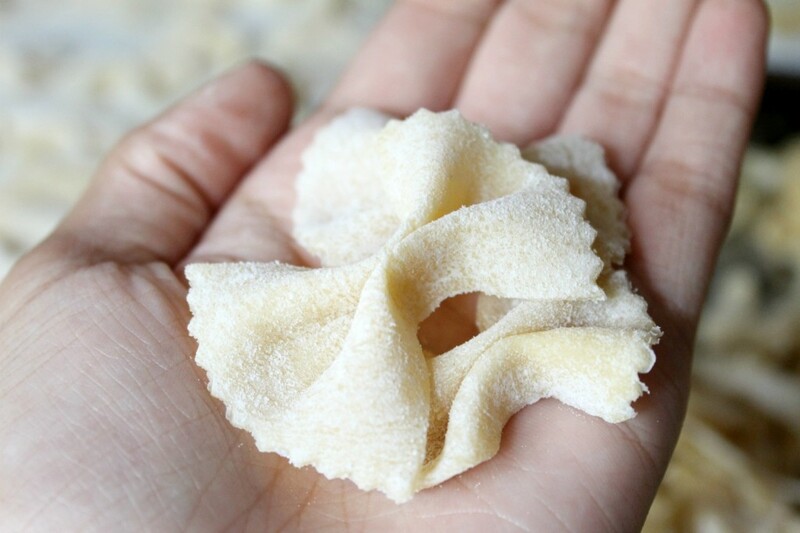 Dried pasta is cheaper, easy to always have around, and will hold up much better when it's tossed with the dressing and other ingredients and served cold or at room temperature. Next, pasta shape and size DO matter, especially if you'll be serving it at a casual gathering where people might not necessarily be eating at a table. Short pasta like farfalle or fusilli is easier to serve and easier to eat — no twirling or long noodles sliding around! 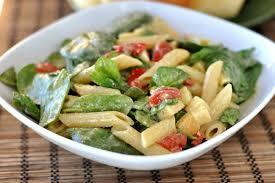 Also, your pasta choice should have nooks and crannies to trap in the salad dressing, herbs, and other flavorings. For an especially strongly-flavored, thick dressing like pesto, tubed pastas like penne or macaroni are great choices—they have a lot of surface area for flavor to snuggle into. Cook it in extra-salty water. Flavors are muted when food is cold, so you want to make sure your pasta is well-seasoned as it cooks. Cook the pasta a little past al dente. Since you're not cooking it in sauce and serving it warm, cook the pasta a minute longer than you normally would, but don't let it get mushy. Pasta gets hard and chewy as it cools, so this extra cooking time will keep it moist. Dress the pasta while it's still warm. Warm pasta absorbs the flavors it’s paired with more efficiently, thus your end product will have more pronounced taste.